#Update (12-06-2018): AIIMS delhi Has been declared the Msc Course result and M.Biotechnology MBT Exam result on 12 June 2018 so candidates who appeared in both exams can check their results through below given links. The following are the lists of candidates who have appeared for the Entrance Examination of M. Sc. Courses for AIIMS New Delhi and AIIMS Jodhpur held on 02-06-2018 and are called for the 1st round for counselling. The following are the lists of candidates who have appeared for the Entrance Examination of M. Biotechnology Courses for AIIMS New Delhi held on 02-06-2018 and are called for the 1st round for counselling. AIIMS Delhi B.Sc. 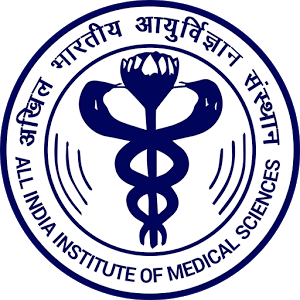 Nursing Entrance Exam Result 2018: All India Institute Of Medical Sciences (AIIMS) has been declared the stage 1st Bsc Nursing entrance exam result on its website. you can check your AIIMS Delhi entrance Exam result through below given link. AIIMS delhi held the Bsc Nursing Stage 1 Examination on 2 June 2018 and now declared the result of written examination. Now AIIMS delhi has been declared category wise cut off and result on its website. Tis Hazari Court Also Declared the THC Delhi JJA Re Typing Result on its website So candidates who belong to delhi and appeared in this examination can check their results through given link. Candidates who cleared in the Stage 1 Bsc Nursing Entrance Exam should report to Dr Ramalingaswami Board Room, Director office, AIIMS delhi for Document verification (Original Certificate Verification). Candidates should appear on 20th June sharp 8:30 AM to the Director's Committee Room. Today CBSE declared the JEE advanced Result on their website so candidates who appeared for the JEE entrance examination can check their results through our website Indiaresults. Candidates who appeared in Stage 1 AIIMS Delhi Bsc Nursing examination should stay in touch with us to get latest information about the examination. we will update this post for the final merit list of Bsc Nursing entrance Exam.